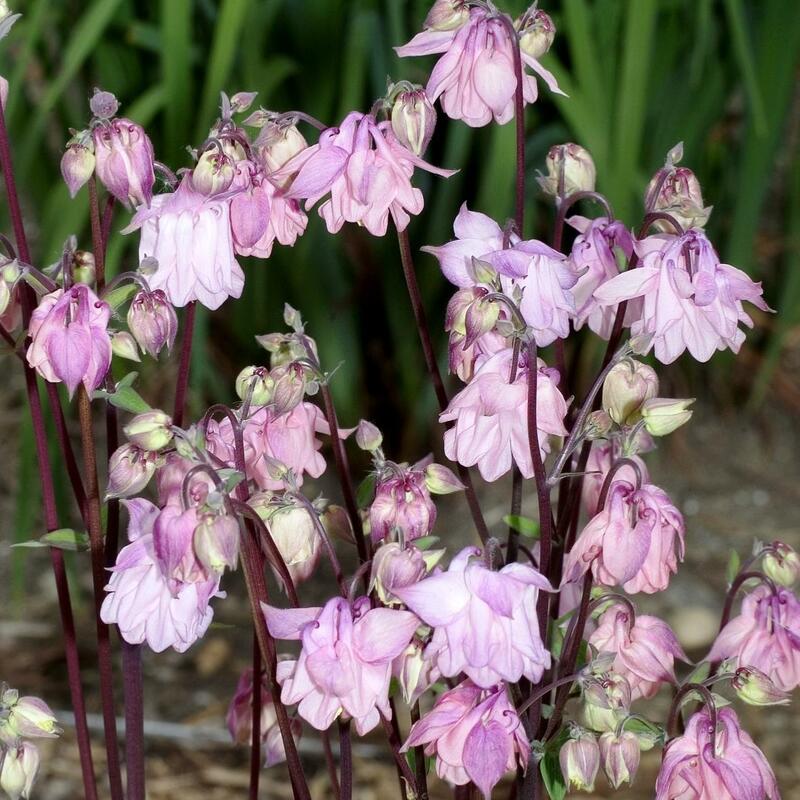 Aquilegia (Columbine) is a genus of about 60-70 species of perennial plants that are found in meadows, woodlands, and at higher altitudes throughout the Northern Hemisphere, known for the spurred petals of their flowers. 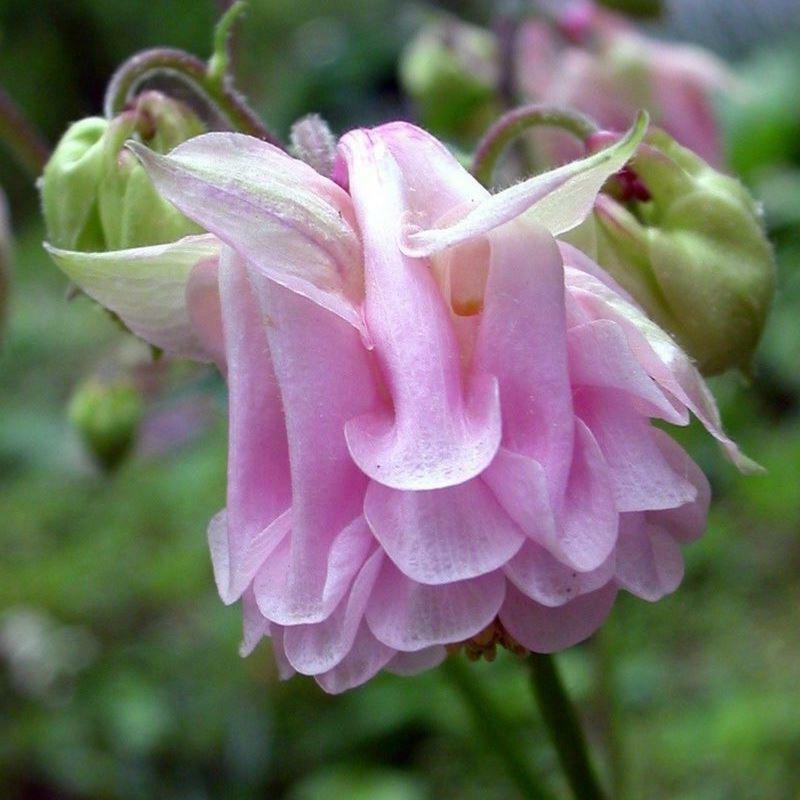 The genus name Aquilegia is derived from the Latin word for eagle (aquila), because the shape of the flower petals are said to resemble an eagle's claw. "Columbine" is derived from the Latin word for pigeon or dove (columba). 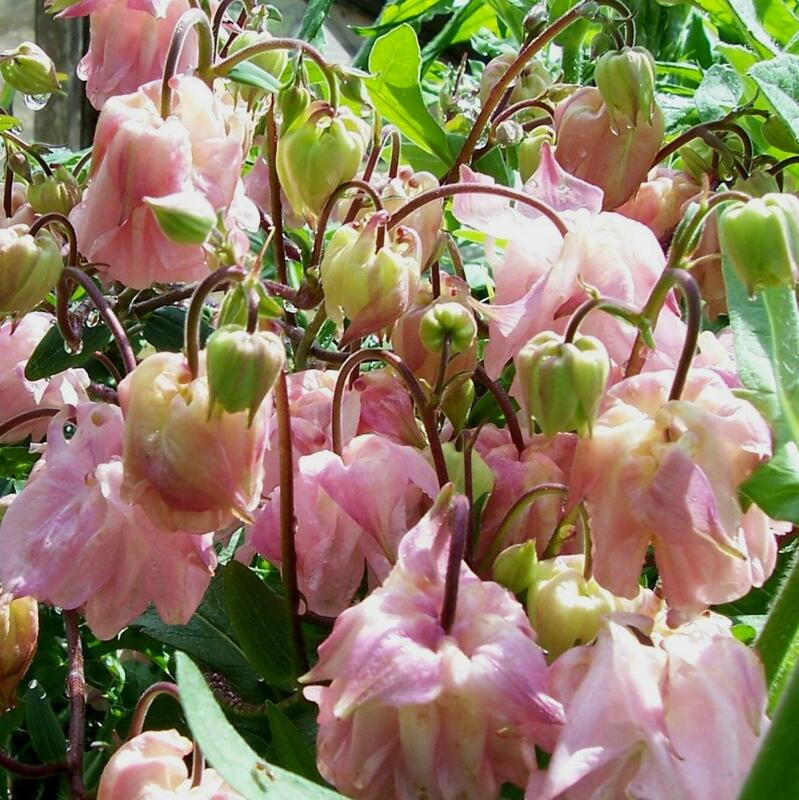 Aquilegia vulgaris 'Dorothy Rose', has exquisite unusual pleated rose-pink flowers that are displayed high above glaucous-blue foliage. The unique hose-in-hose style blooms look like several flowers set inside of each other, resembling a ruffled ballerina's dress. The spectacular colours are superb near the front of beds and borders. They can be used individually in small clumps, or massed together in combined groupings to create a stunning display of colour. Resistant to deer and rabbits. 'Dorothy Rose' is easily grown in average, medium, well-drained soil in full sun to part shade. Tolerates wide range of soils except heavy, poorly drained ones. Prefers rich, moist soils with light to moderate shade. Remove flowering stems after bloom to encourage additional bloom. Keep soil uniformly moist after bloom to prolong attractive foliage appearance. When foliage depreciates, plants may be cut to the ground.